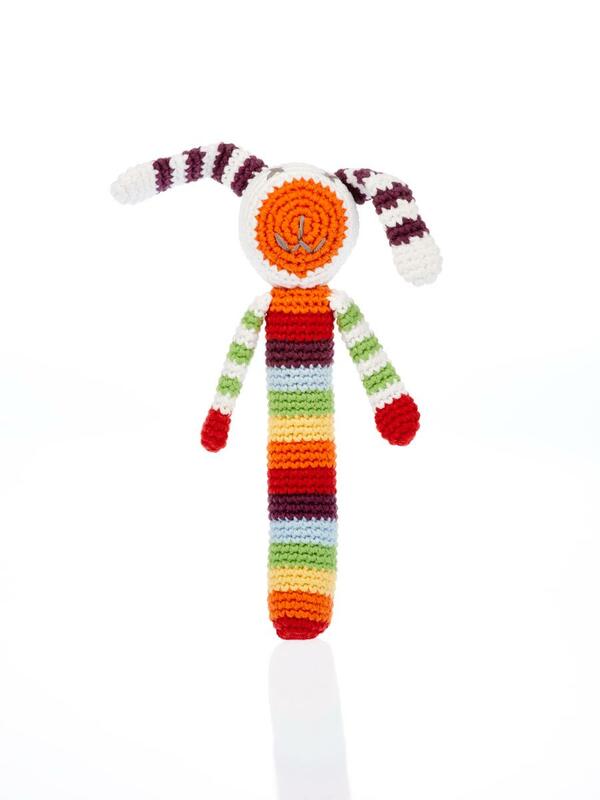 Our best selling multi stripe bunny rattle is now available as a stick rattle. Perfect for a young baby as the stick is easy to grasp onto and the bright stripes are stimulating for baby. Stick rattles are great for babies - as they grow as they can grasp the rattle with one hand and wave it around to make a gentle sound. Suitable from birth, machine washable, fair trade, handmade. Best Years are a soft toy manufacturer based in the UK. All of our crochet fair trade baby rattles are available to consumer, wholesale, retail and museum customers.